Here you can easily create quotes, order confirmations and delivery notes that are linked to each other and which can also be turned into customer invoices. Since the program is web-based, you can use it while visiting your customers, and if you do not want to print your quotes or orders, you can send them via email instead. Briox Order is an add-on module for use together with Briox Invoicing and/or Briox CRM. With a click of a button, Briox collects multiple orders for the same customer on the same invoice. If you want! 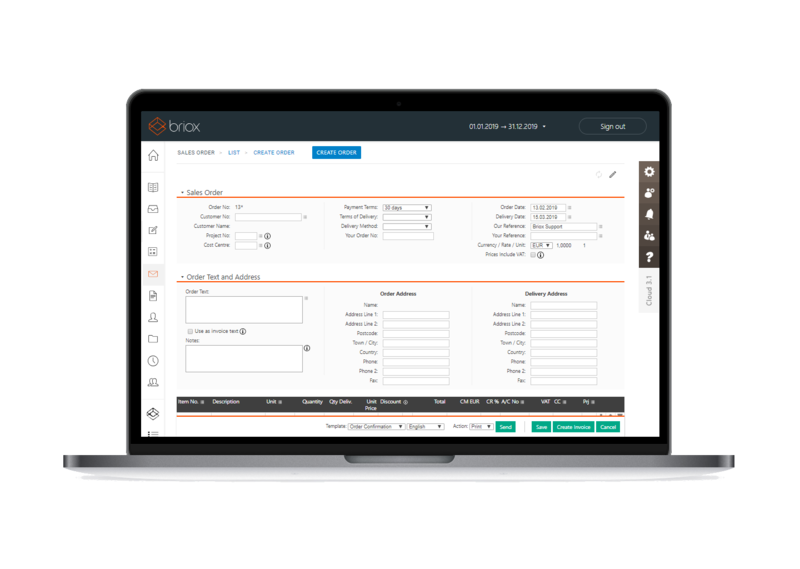 Add Briox Order to Briox CRM and Briox Invoicing for effective handling of the entire process from customer processing through quote and order to invoicing. Create great-looking quotes and orders based on your customer and product registries. If you have multiple orders that are to be delivered to the same customer, you can collect them all on one invoice. The invoice automatically specifies which orders are included. Customise your own print template with the Briox template editor or simply add your logo to any of the program's default templates.